Della is also a talented crocheter, embroiderer and beader. With its roots buried deep in the past, belly dancing and its hypnotic shimmies, sensual spirals, mesmerizing costuming and intoxicating music, is often performed as a celebration of femininity and the body. 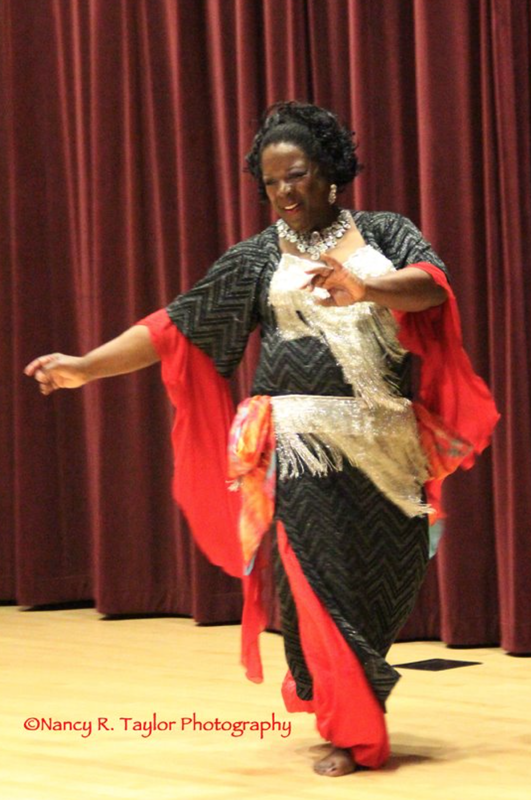 A teacher of traditional Raks Sharki and improvisational belly dance, Della has been an ardent student of the art for more than 45 years; 25 years stemming from professionally teaching. Della was an artist in residence with the Omaha Metro Arts Council for several years and is a seasoned choreographer; presenting throughout the region at multiple venues and events, including with the University of Nebraska at Omaha Dancers Showcase and the UNO Moving Company. Della is also the director of the Lotus Dance Ensemble and owner of Chrysalis Studio in Omaha, NE. Come get fit, have fun and #learnmore in Della’s beautiful mirrored studio as she introduces you to the art of belly dancing, a beautiful and skilled ancient art of many styles and variations. During this sampler, you’ll learn the basics; focusing on technique, drills and improvisation! All dancers are welcome, including beginners! After the sampler, cool down with refreshing beverages and snacks at Center Studio 518. Information: Hip belts provided for use in-studio! Dance barefoot, in ballet shoes or in your stocking feet. Wear comfortable clothing such as leggings. There is no requirement to show your belly. Sign up with your email address to receive news and updates about Della’s studio classes.